ON SALE: $62.99 - Join Rewards Get $3 Dance Dollars On This Item! 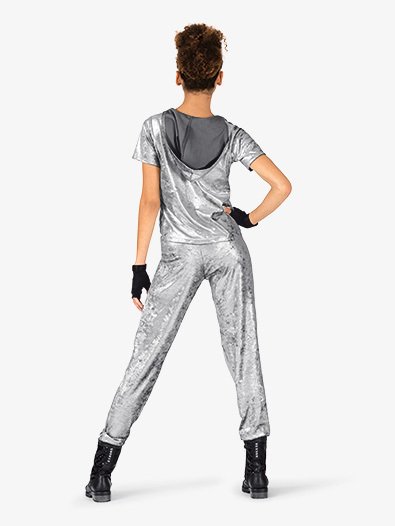 Thank to the metallic sheen of this hip-hop set, you'll shine even more brilliantly during your performance! Set includes a distressed metallic short sleeve top with an attached hood, and matching distressed metallic sweatpants with front slits. Pictured accessories are not included.